You like China. You`d like to learn Mandarin Chinese. You are interested in Chinese history and culture. You want to even go to China to live or apply for a job. 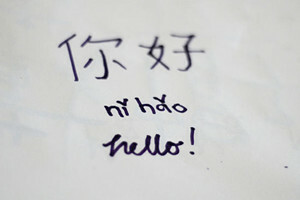 As a total beginner, you`d better start learning the Chinese language first. But do you know how to learn Mandarin? I`m also a language learner. I`ve learned French, Spanish, and some Japanese. Then I touched on Chinese finally, which we thought to be one of the most difficult languages in the world. But actually, after more than two years in the learning process, I found that Mandarin Chinese is really not so complicated to master. At first, don`t imagine that you are facing a monster in front of you. Once you try to understand and immerse yourself in it, you will speak it naturally and fluently to some degree. Always remember, language is just a tool for communication. Why can`t you use it? Chinese is also quite different from English and many other Roman-letter languages. There are pronunciation and character parts. One character stands for one exact pronunciation (some of the characters include more than one pronunciation). So to learn Mandarin Chinese, you need to first lay the foundation of the pronunciation, which is called the pinyin system. Then, developing your language sense, try to turn your brain to a Chinese channel and think in a Chinese way. Learning the pinyin system can prove invaluable if you intend to type in Chinese on a Western keyboard.Chinese is a tonal language. If you speak with a wrong tone, then perhaps you’ll make a huge mistake and be misunderstood. During the foundation period, focus on pinyin syllables and tones, or in the future, you`ll be corrected in your pronunciation all the time. When practicing the tones, wave your hands like the tone mark trends. The first tone is very high and level. The second tone is a rising tone, from bottom to top. The third tone is first falling down, then rising (attention: You need to pronounce a full tone but a lazy pronunciation). The fourth is a totally falling tone. Practicing with a mirror is also a recommended way, so that you can imitate the mouth shape and tongue position. 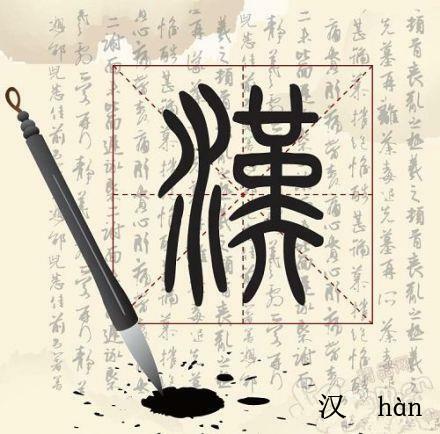 In Chinese characters, you can find lots of Chinese culture and history surprisingly! Decide whether you are going to learn traditional or simplified Chinese characters. Traditional Chinese is used in Taiwan, Hong Kong, and Macau. Simplified Chinese is used in mainland China and Singapore. According to your own need and situation, you can choose which one to learn. Once you decide, just keep learning, don`t change all the time. It is possible to learn both, but as a beginner you should stick to one system to avoid confusion. Learn simple Mandarin Chinese characters first; these are most likely the “radicals” that use their meaning and pronunciation to give hints in complex characters. Chinese is a very analytic language. This means that words, unlike German and sometimes English, for example, will not change for different cases, gender, etc. In fact, every “word” is a single syllable, sometimes combining themselves next to each other to make “compound words”. One learning language key is: persisting! Half-hearted effort can`t obtain anything, particularly language. We keep forgetting all the new words and patterns. Only if we practice continuously, those tough things can be kept in mind deeply. Using your spare time, even just 15 minutes once a day is better than three hours in one week. Don’t skip a day or a few weeks just because you don’t have time. You’ll forget everything and have to start from the beginning. If you think you grasp a lot, be sure not to just stop reviewing and studying it. You will forget what you have learned. How frustrating will it be to have to relearn things over and over because you don’t study at least four times a week. Find opportunities to speak it. When you see something, just try to translate it into Chinese. If you can`t, then take a note and when you return home, check and remember it!Become language buddies with non-English speakers who are learning Chinese. No matter if it’s on the Internet or offline, find some Chinese learners to be your partners! Communicating with learners can reduce your nerve. You can also discuss how to learn mandarin with each other.Live in China a while, but don’t immerse yourself in English-speaking expat circles. Some international big cities like Shanghai are not that good as so many people are able and pleased to speak English. There are a lot of very good free ebooks/videos/software on the Internet. You can download some and see which one is more suitable for you. Next time I will recommend some of them. Flashcards are very useful for learning new vocabulary, but it is equally important to practice using new words in sentences. If you can, taking at least an introductory course on Mandarin at your school or local college can be an excellent way to be confident and accurate in your pronunciation and tones. Getting the basics down can help you have a good springboard for further studies on your own. Preferably make sure the course is conducted in Mandarin and *not* in English. Some one-on-one in Chinese class is necessary, particularly in some certain levels. Maybe you need some specific and professional opinions and ways with native Chinese teachers to help you get through the difficulties.Music/movies/TV shows are also excellent ways to build your own Chinese environment.Follow a Chinese TV show you like, or listen to Chinese music, just like the very popular Chinese cartoon Xǐ Yáng Yáng yǔ Huī Tài Láng (“Pleasant Goat and Big Big Wolf”). It`s very interesting and simple for us. Sometimes you need a certain goal to go faster and longer. No matter if you’re traveling in China, having a date with someone, or applying at universities or for jobs, you just need a plan to achieve that goal. Of course, examinations are also a very good goal to guide you how to learn Mandarin very well. For example,to take the HSK, a standardized Mandarin exam for non-native speakers.The Hànyǔ Shuǐpíng Kǎoshì (HSK) is a Mandarin proficiency exam administered in China and abroad. There are six possible levels of achievement, the most elementary testing you on 150 words, and the most advanced testing your knowledge of up to 5000 words. The exam tests your listening, reading, comprehension, and composition skills. The cost depends on your level. The spoken part of the exam is separate. Finally reaching the peak of Mount Zhumulangma will be a matter of lifelong pride to you. Learning a language is also this kind of process. Then there are my experience about how to learn Mandarin. What`s yours? Nemon graduated from Xi'an International Studies University four years ago with a degree in Linguistics. She has been teaching Chinese for more than four years. She also trains teachers to teach Chinese as a foreign language She has more than 60 students- the youngest one is just 5 years old and the oldest one is almost 70. She makes very personal study plans for each student. Frequent feedback in and out of class make her students always aware of their problems and progress in learning Chinese. She has made every effort to be a friend to her students and to help them learn Chinese happily.